When is the Time Of Your Life? I personally think it's anytime you want it to be. There are no limits nowadays and a "certain age" is a thing of the past. I only use the term in a mocking tone as it never occurs to me that I am too old for anything. That said, we ladies of a "certain age" have been neglected in the past and our spending value was totally under estimated by the beauty industry, thankfully now things are on the turn and the beauty world is sitting up and seeing that we do have real value to offer in terms of opionions and definately pound notes (🠜) OK oddly shaped coins! We are beginning to get a voice and a presence when it comes to all things fashion and beauty, I for one - would have loved to have seen this happen 10 years ago, I remember in my 50's being extremely hurt by a comment followed by women of a certain age. But here we are 10 year on doing our thing and doing it bloody well in fact. 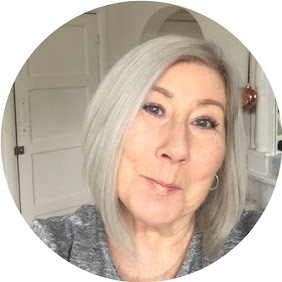 My first thoughts when I was approached to review a beauty box designed specifically for the over 40's was that it wasn't needed and that we should not be bringing attention to the fact that we are defined by age. But my thoughts led me to thinking actually this is good thinking, as with most beauty boxes we end up with something, while fun ie: Unicorn and Mermaid stick on face Jewels are not really practiacal for shlepping around the supermarket. This will not happen with Time Of Your Life. The box is designed with practicallity in mind for our demographic. It's clear from the contents of this first curation that thought and care has gone into the products, and I can honestly say there was nothing in the box that I wasn't delighted with. There is a lot on offer here not only does the box have a retail value of £90.00 you are able to listen to podcasts from beauty experts which are full of valuable advise. And a BONUS suprise Chocolate bar from Willie's Cacao !!!!! You can subscribe for a monthly box at £24.99 or try a one off box at £34.99.